Installing a AltLiner™ CIPM™ Lining System is faster and less error prone than spray on coatings. In just a few hours a structure can be prepped, lined, and reinstated, extending a structure’s life by 50 years or more. If lining the invert (flow channel is lined) is required, by-pass pumping is setup to allow flow thru the collection system during the CIPM™ lining system installation. If invert lining is not required (flow channel unlined) a flow-through pipe is installed to allow uninterrupted flow during the CIPM™ lining system installation. The manhole is visually inspected for apparent structural damage and preparation assessment. The steps are removed. All surfaces are pressure washed to remove the deteriorated concrete, grease, and other contaminants. Extremely deteriorated or pitted precast and brick surfaces may require additional restoration to form a compatible substrate for the liner. Active hydrostatic infiltration is stopped by means of injectable grout and hydraulic cement. Loose bench material is removed, and the channel is rebuilt as necessary to prevent deposits of solids at any transition point and create an ideal bonding surface. 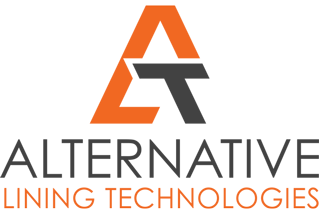 Each CIPM™ liner is designed and manufactured specifically for the structure to be lined. The completed liner is shipped dry to the installer along with Alternative Lining Technologie’s 100% solids epoxy, which is pre-measured at the factory. The epoxy is mixed and applied to the liner on-site. The epoxy-coated liner is inserted into the manhole and pressurized, conforming the liner to the shape of the manhole. Heat is introduced into the system, which forces the resin into the substrate and cures the epoxy. Typical cure time is 1 hour. All pipe penetrations are reinstated and the top is trimmed to the manhole lid. 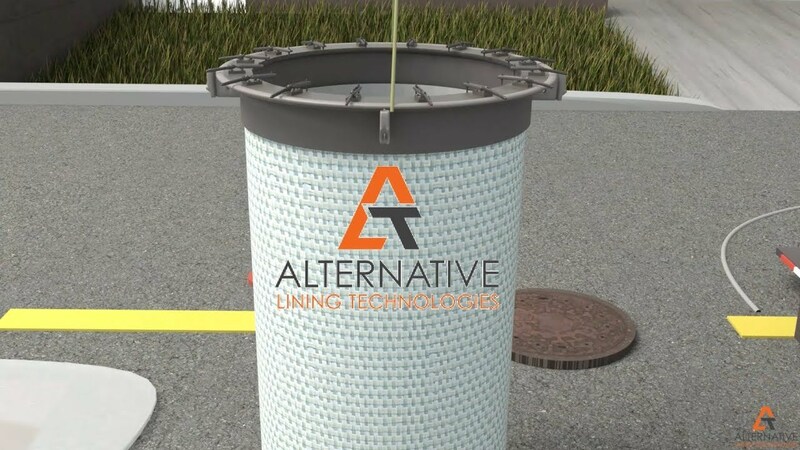 The length of time required to complete an entire liner job will depend on the scope of the job and the condition of the wastewater system before work begins, but Alternative Lining Technologies uses a carefully groomed process to ensure minimal down-time and rapid repair.